I visited Doung Prah village today to meet with Mr. Moam, Chin who is the Community Health Volunteer (CHV). As the CHV, he helps train the community on safe water practices and good hygiene, as well as identifying families who lack access to those things. 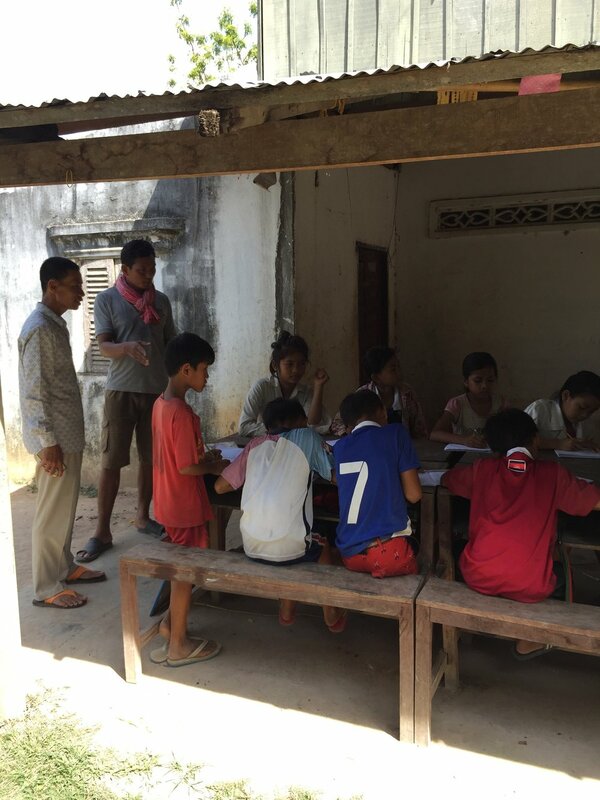 Mr. Chin also runs a supplemental class program at his home that provides extra school lessons to children in the area. Before Wine To Water and Kone Kmeng (K.K.) started working in this area back in 2013, the overall health was poor and many families lacked access to clean water. There was one well that was drilled in 1960 and it was many miles away from most homes. The families would have to send their young boys to fetch water, which posed a few problems. The kids were now missing during school hours, the containers they were using were not clean and the water risked contamination from being transported from so far away, not to mention how much they would actually make it back with when carrying the water on the back of a bicycle. 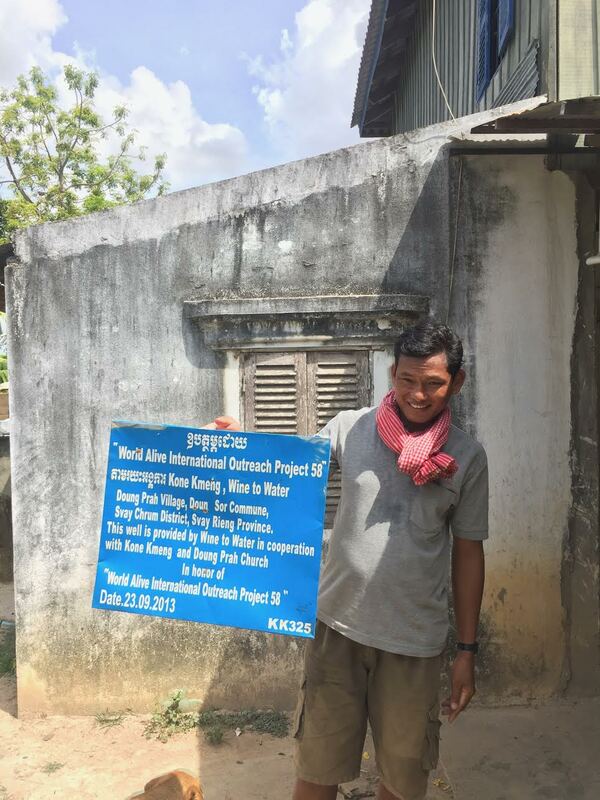 In September 2013, WAIO’s Project 58 donated the first well to this community, which is still being used today to great effect. This well was put on Mr. Chin’s property, where he put it to good use starting his own fish farm. Eventually, this well was adapted to not only feed Mr. Chin’s fish farm, sugar cane plants, garden and animals, but also the neighboring families fish farm and garden. In the next few weeks, those homes will be receiving their own wells for drinking and farming. Since then, many more wells have been provided to this village and the two others in this community. Quality of life has greatly improved for these people, and many of them make extra income by growing plants and raising fish. Sickness has also been drastically reduced allowing the children to make it to school more often. The transformation in this village is amazing, and the smiling faces everywhere show how happy the people are, and how a simple thing like water can affect an entire community.